Check out images of vintage snowmen via Time Magazine or take in the tallest snowman ever via Guinness World Records. Try out snowman slam, a fun bowling game, or make this sweet snowman mobile made with a paper plate. If you're feeling really creative, assemble this adorable snowman garland. Print out these coloring pages of various snowmen, practice scissor skills by cutting and building your own snowman or try out this connect-the-dot printable to encourage pattern and number recognition. Make a snowman pancake complete with bacon scarf. Yum! 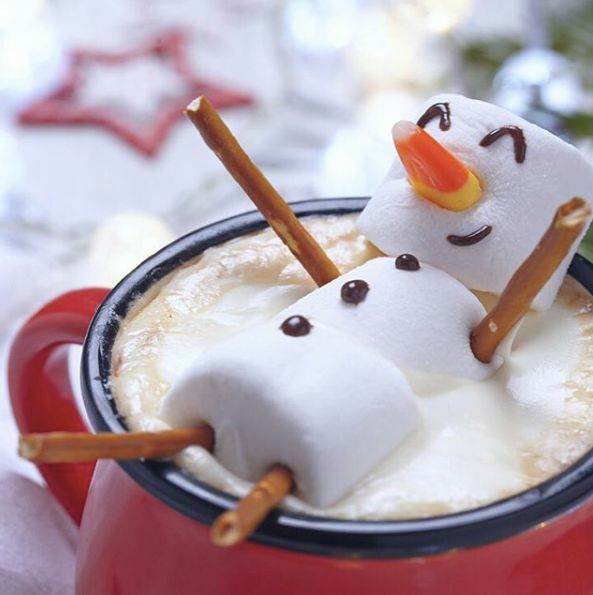 Assemble this cocoa topper made from marshmallows and pretzel sticks or simply tower your clementines into an orange snowman. Whip up these ‘melted snowmen’ cookies or heat up an adorable homemade snowman pizza. Preserve winter fun by creating a mini waterless snow globe And for all the parents who are ready for a Frosty the Snowman reprieve, help yourself to a melting snowman martini (yes, really). Don’t fret folks, he’ll really be back again someday!